This stunning 10th-century Hindu temple is just about 23 miles north of Angkor Wat; or if you travel to Banteay Srei by tuktuks from the city centre of Siem Riep, it takes you approximately 45 minutes. It is so easy to take a journey to the site, isn’t it? 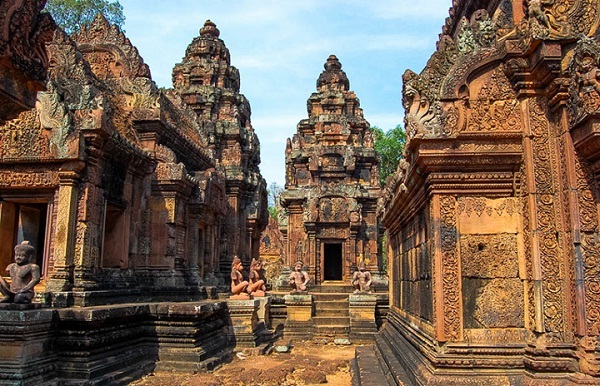 Banteay Srei leaves its visitors with a firm impression of its excellent condition of preservation and a pinkish temple because it is built largely of solid red stone sandstone on which are elaborate ornamental carvings varying in details. 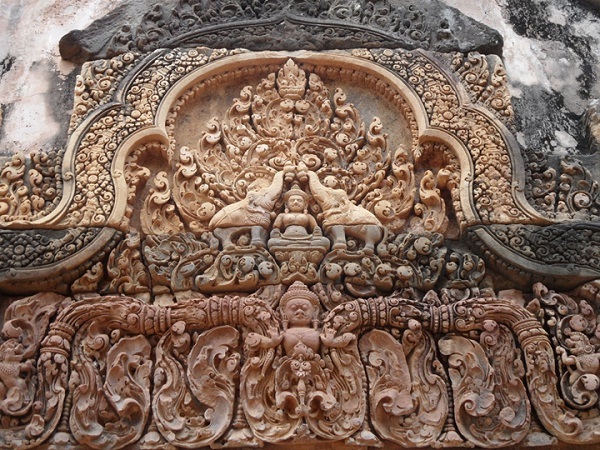 It is universally acknowledged that the reliefs on this temple are so delicate that these carvings are only created by the hand of a woman, which somehow accounts for the meaning of Banteay Srei “The Citadel of Women”. The temple is in miniature, but undoubtedly an exquisite palace in the heart of an immense and mysterious forest – the very thing that Grimm delighted to imagine and that every child’s heart has desperately yearned for. How can these last through the ages? They may be a scene from one of the two major epics of ancient India illustrating either a fight between good and evil or a duel of monkey princes. Of the three layers of enclosures, the inner between the gopuras and collapsed inner walls includes the most remarkable buildings – two libraries, each of which is located in the southeastern and northeastern corners, and a sanctuary sitting on a T-shaped platform at the very centre. 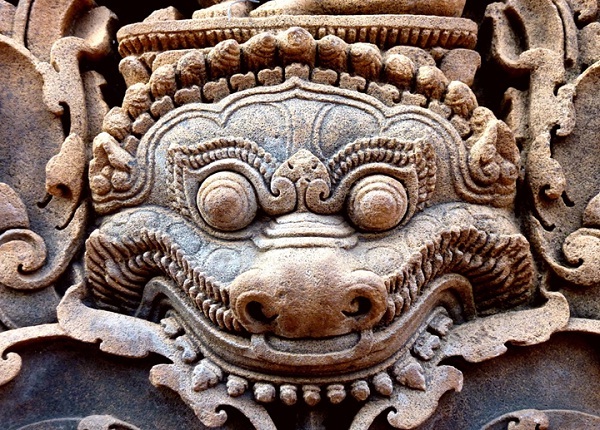 They are all bizarrely decorated in comparison with other structural elements of the Banteay Srei, and have been the most successfully restored. 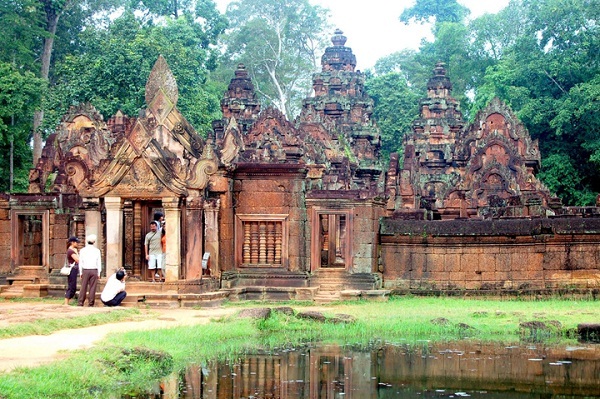 You should visit Banteay Srei in a guided tour to be offered the most convincing explanation about the mysterious details carved on the surface of the temple, because they are the most valuable parts of Banteay Srei, featuring Khmer reliefs and architecture.